Perfect for celebrations of any kind; our banquet series has been specifically designed for flexibility, fellowship, and durability. Some In-stock options, contact us for current stock availability 800-297-7115 Additional models available. 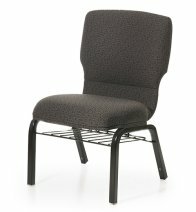 Quality built chairs that will withstand the rigors of use start with a strong frame and ample cross-bracing. Weight rated for over 1,500 lbs, Meriden rated for over 800 lbs. We offer several stock options for quick delivery. 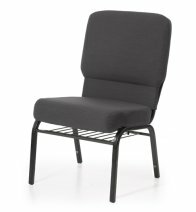 We strive to build the best quality worship seating available, and are happy to stand behind the quality of our chairs. 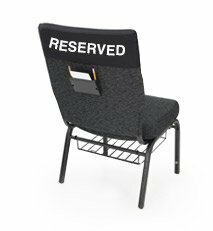 All of our worship seating is backed by a lifetime warranty. We acknowledge that being good stewards of our environment is important for future generations. We have committed our business to environmentally ethical practices, though conservation and recycling. We also choose to work with vendors who place and emphasis on green practices. Our family has been building worship seating for 30+ years. We are committed to building high quality worship seating that makes a lasting positive impact. We value each client and strive to offer worship centers the best quality products and service, all backed by a lifetime warranty. We are centrally located to provide quick deliveries coast to coast. 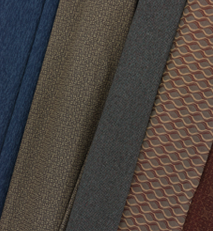 Quality encompasses everything from overall construction to minute aesthetic details. 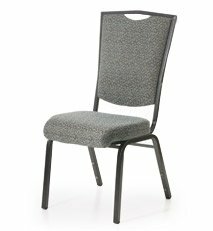 Our chairs are manufactured with the highest quality 16 gauge cold rolled steel, t-nut construction, high density performance foam, and commercial grade fabrics that will provide our clients durable comfortable seating for many years to come. 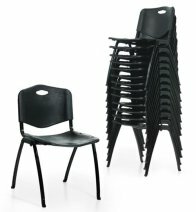 We love educating and helping clients choose and/or customize seating to best meet their needs. "Your company is amazing and we are so appreciative! We purchased our chairs from you for our new facility and they look wonderful. Many thanks and make it a glorious day!" "Thank you so much for all your help in finding the right chair for our church. You have been more helpful than a number of other companies I was dealing with." 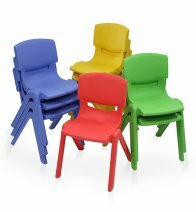 "The chairs arrived on Monday and they look and feel awesome. I look forward to my second, third and fourth orders with your company. " 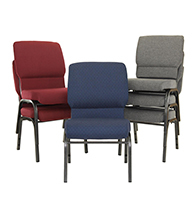 ChairsForWorship™ by Uniflex manufactures a complete line of church chairs. 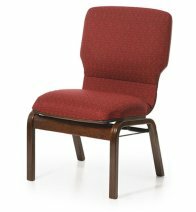 Our church chair product line includes both Wood and Metal Church Chairs. All of the Church Furniture that we manufacture have the highest level of workmanship and materials.